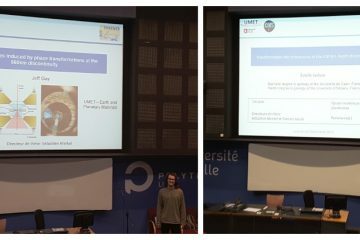 Estelle Ledoux and Jeff Gay presented they current work at the PhD student days for the UMET lab in Lille. The symposium is organized yearly in January. 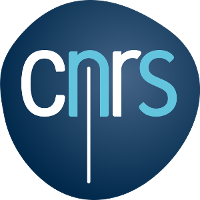 This one-day meeting is an opportunity to discover the work of current PhD students and the evolution of research in the lab. It is an opportunity for exchanges between students and researchers, exchange ideas, and build strong future collaborations. The full program of the symposium can be found online in the following document. 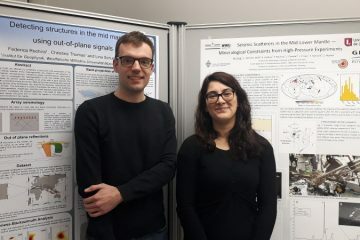 Federica Rochira and Matthias Krug presented posters at the Deep Earth Mini Symposium in Münster. The symposium was organized by TIMEleSS PI Tine Thomas. 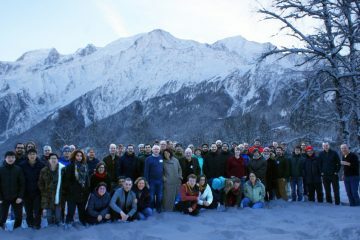 This one-day meeting attracted an international and interdisciplinary group of deep Earth scientists, PhDs and Master students, with keynote talks given by Jennifer Jackson (Caltech), Jeroen Ritsema (University of Michigam) and Sebastian Rost (University of Leeds), and a poster session with wine and cheese. The full program of the symposium can be found online in the following document. One of the TIMEleSS PI’s gave a general lecture on Mantle Convection this week. 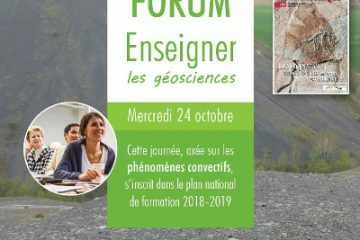 The French geological society meeting (Réunion des Sciences de la Terre) was held in Lille between Oct 22 and Oct 26, 2018, and included a workshop on Teaching Earth Science in High Schools dedicated to high school teachers in Northern France. The workshop included a day of scientific presentations during which S. Merkel gave a class on Mantle Convection and a day of field trip. The workshop was also a nice and rare opportunity for high school teachers in Northern France to be in contact with international research in their region. Tine Thomas explains geophysics in Gymnasium! In June 2018, Tine Thomas went to Werner Von Siemens Gymnasium in Gronau to introduce geophysics to the pupils. Thirty students attended and asked many questions. Will they be our new TIMEleSS members?! Federica Rochira gave her first talk at the Institute of Geophysics in Münster. She presented her part of the TIMEleSS project and the first results about the out-of-plane reflections in the mid-mantle. 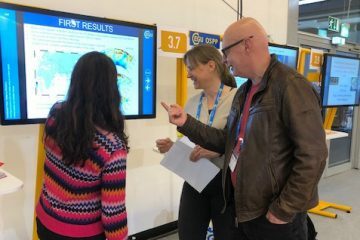 The seismology group of Münster was present but also Carmen and Matthias of the Institute of Mineralogy, also involved in the TIMEleSS project.